How many of you called it? It was pretty obvious thanks to the invitation that Google and Mattel sent out the other day. Today's announcement as part of Mattel's presentation at the World Toy Fair shows how Mattel is stepping up the game on their very old toy. 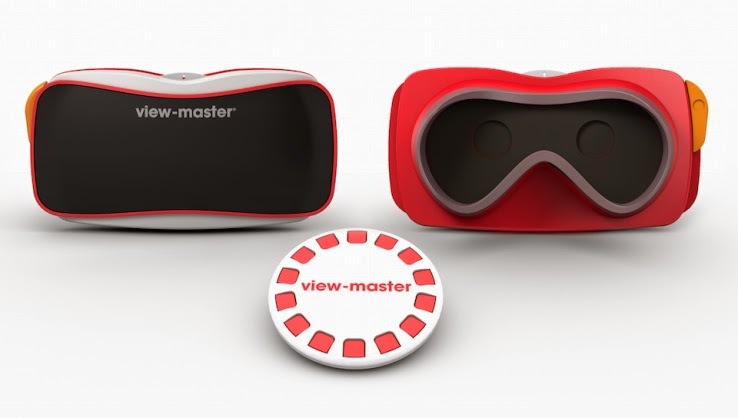 The new View-Master looks similar to the old, but has a slot for you to place your phone in there. But instead of looking at some holiday photos, or restaurant menu items one by one, the new 'reels' will offer an immersive view of some scene or location. The device looks to cost a pretty low price of just $30USD, but the 'reels' will set you back about $5 each ($15 for a 3 pack). But, what I don't get is how the paired app will know what reel you have. Is it NFC or BT connection and the information is stored in the reel, or is it just a link to a website (and then you could just share it illegitimately) or is it something you purchase in the app itself? Look for it as we get closer to Christmas (i.e. probably late October).